Many people are unhappy with the U.S. dollar as the world’s reserve currency. The problem is that alternatives are few and far between. The euro almost fell apart before it even got started and the Japanese yen has its own problems. So dollar antagonists now think the new kid on the block might finally do it, extrapolating China’s economic growth into the realm of foreign currencies. Today a panel of economists poured cold water over these hopes as well. “We are a long way from the yuan becoming a reserve currency. I think they are clearly trying to do things that put them on that road. But this is a long road,” said Lewis Alexander, chief economist at Nomura at a panel discussion at the Council on Foreign Relations in New York on April 30. 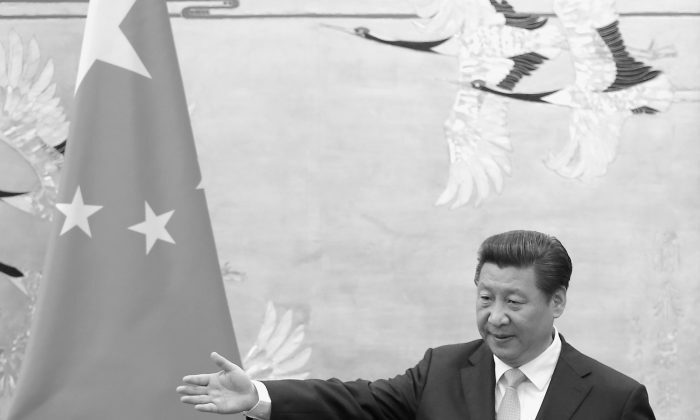 His primary concern is that the institutions in China are not strong enough for the world to have full confidence using the yuan as a reserve currency. “Ultimately that is about rule of law. Because your willingness to [use it] depends on trust not only in the currency itself but the whole set of institutions around it. To me that’s ultimately the biggest obstacle,” he said. Amnesty Interntional in its 2015 report on China says “access to justice was elusive for many,” only one of many organisations questioning the integrity of China’s legal system. According to Lewis, this is a problem also for financiers. Another panelist, Peter Fisher, a Senior Fellow at the Tuck School of Business, Dartmouth College, said more technical matters prevent the yuan from becoming the world reserve currency. “I don’t understand how you become a reserve currency unless you run a massive current account deficit for a long time. Nor how you are a reserve currency unless you permit volatility in your exchange rate,” he said. China historically has racked up massive current account surpluses as a result of its policy of promoting exports. It has reinvested these surpluses in the U.S. dollar, which acts as the world’s savings bank. China has used the recent U.S. debt-ceiling debate and the government shutdown as a cover to push its ambition to become the world’s reserve currency. China Uncensored: Are China’s Most Powerful Trying to Kill Each Other? Chinese companies have deployed a 'legal firewall' to avoid lawsuits in America, according to a federal watchdog report.